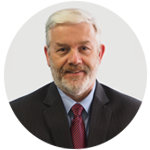 To the uninitiated, the design of distribution networks might seem a complicated topic. However, it’s really not that complex at all. Indeed, the aim of distribution network design is to keep things as simple as possible. However, the degree of simplicity that can be attained depends a lot upon the industry concerned, as well as the geography within which an enterprise chooses to do business. No, I’m not about to tell a bad joke. Instead I’ll try to explain the structure of typical distribution networks behind three simple products that you might conceivably purchase. I’ll leave geography out of the equation for now and focus on how distribution networks might differ by industry. I think it’s fair to say that most of us would take the purchase of a can of beans and a glass of draft beer completely for granted. We might think a little more about the computer, especially if we buy one online. However, we’re still unlikely to pay much mind to the process involved before the parcel company drops a shiny new PC at the front door. However, without an industry-specific distribution network, designed to ensure any of the three aforementioned items is available in exchange for the appropriate amount of money, we’d find it pretty hard to eat beans, drink beer or enjoy the latest lightning-fast computer graphics. So let’s take a look at how the distribution networks might be designed for each of the three commodities. Firstly, even an online grocer is unlikely to drop a single can of beans off at your front door. Therefore you are going to have to go to a convenience store or a supermarket to get your beans. At the same time, you wouldn’t be too happy if you had to order your beans in advance. Therefore you’ll visit a retailer who has plenty of cans of beans in stock. To get those cans of beans, the retailer will have purchased them from a wholesaler or directly from the manufacturer. In either case, such a fast selling/low value product must be purchased in bulk quantities. With this kind of product, a manufacturer will churn out cans by the thousand. Storing mountains of stock at the production plant is not likely to be practical, so the manufacturer will probably have at least one distribution centre, which will receive inventory from the plant and store it in sufficient quantities to meet consumer demand. Selling cans of beans is all about volume, so the manufacturer will only sell large orders of beans, either directly to supermarket chains or to wholesalers. The producer will not want to spend money on distribution, so buyers will need to collect their orders from the production warehouse or distribution centre. Large supermarket chains will have their own distribution centres, as will wholesalers. Therefore the buyers purchase huge quantities of canned beans (based on demand forecasts) and store them for distribution on demand to their outlets (in the case of supermarket chains) or for sale to retailers (in the case of wholesalers). The store where you buy your beans should therefore, always have plenty of stocks, since it will receive beans by the pallet or at least, by part-pallet. Just like the can of beans, you won’t have the beer delivered to your door. Instead it will be delivered to your glass. Therefore you must buy your beer in an establishment that can sell beer on tap. That means it will actually be packaged for dispense from an aluminium cask or keg. For the beer producer, distributing draft beer poses a few special challenges. Beer kegs are large, heavy items and the retailers (bars) are often located in town or city centres, along narrow streets inaccessible to large delivery trucks. Therefore, it’s generally impractical to try and service outlets spread around a country, from one or two centrally located distribution centres. Because of this logistical challenge, a brewing company might have warehouses situated on the edges of urban conurbations. Draft beer will be regularly shipped from the production plant or a distribution center to these regional or local warehouses. In turn, the warehouses will deliver the kegs of beer to the bars and other outlets within their individual distribution areas. Unlike the canned-bean producer therefore, breweries often have an extra set of nodes in their distribution networks. In contrast to the previous two products we’ve explored, a desktop computer is much more likely to be delivered right to your front door. To keep the illustration simple, let’s assume you order your new computer online. It’s more than likely that you will be able to choose from a wide range of specifications for your computer. Of course it would be inconceivable that there is a warehouse somewhere, stocked with a number of computers complying with the exact specifications you chose. Instead, your computer will be assembled after you place your order, meaning you need to wait a few days for delivery. Okay, I’m guilty of simplifying the three scenarios above, just a little bit. 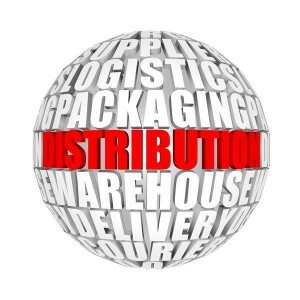 In reality, there are many factors which will influence the way distribution networks are designed and there is really no standard in any specific industry. For example, some computer manufacturers utilize distribution hubs, where components such as monitors (made by other manufacturers) are amalgamated with the main processing units and where final assembly to a customer’s specifications might be completed. Similarly, some large bars may install tanks on their premises, with beer being distributed directly from the brewery by tanker. However, hopefully the three example scenarios give you a reasonable idea how distribution networks might differ from one industry to another. In a future article, I’ll try to explain some of the cost impacts of each type of network, but right now it’s time to close down the desktop computer, drink some beer and eat some beans, hopefully with a nice piece of steak on the side. Thanks for your interesting and simple analysis Rob. Nevertheless, it will be very rare for many customers just go to a grocery store to buy a single can of beans or a bottle of beer, as your analysis explains. Today items are delivered to a door by supermarkets provided customers spend a minimum of $30 in Woolworths or 50$ in Coles. In addition, the make-to-stock items will have a similar distribution (not the same), compared to make-to-order items. Direct distribution is required when bulky products such as industrial chemicals, are involved. Bulky products need channel arrangements that minimize the shipping distance and number of handlings.